CCHS students have the opportunity to review materials, reinforce learning skills, AND improve final transcript grades up to a “B-”! Non-CCHS students will have their final numerical grade sent to their designated school. Classes held Monday through Thursday. For CCHS students who meet eligibility requirements. These courses appear on the official transcript, students earn credit points for these courses, and grades impact overall GPA. Accelerated Geometry condenses a year-long geometry course into an intensive summer program in preparation for advanced math courses. The class meets daily during the regular summer term schedule. Instructor: Mrs. Ellen Loycano, Central Catholic High School. Algebra II is a prerequisite for students moving from Level II to Level I Honors Pre-Calculus. The course covers multiple topics from Algebra II in preparation for Honors Pre-Calculus. Instructor: Mr. Jarrod Brown, Central Catholic High School. Accelerated Pre-Calculus is a prerequisite for students moving from Level II to Level I Honors Calculus. The course covers multiple topics from pre-calculus in preparation for Honors Calculus. 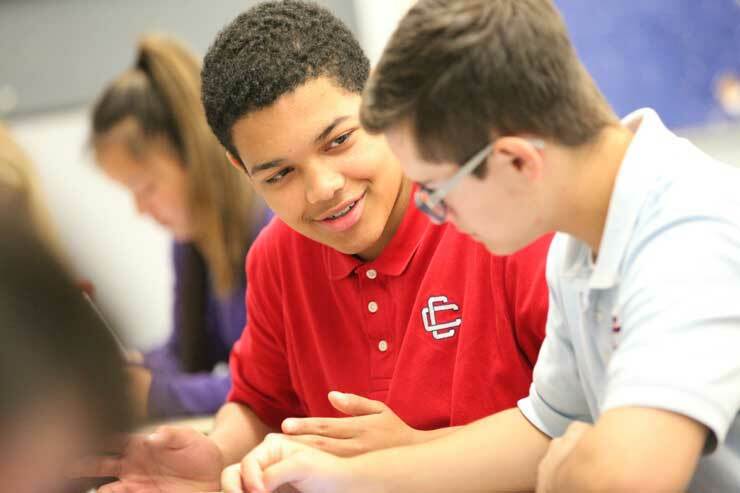 Central Catholic Summer Term offers students the opportunity to attend courses during summer vacation:. We realize that our schedule of courses might conflict with previous arrangements and family commitments. All anticipated absences beyond one day must be approved by the director of Summer Term prior to the beginning of Summer Term. Students agree to make up all missed work and at least a portion of all missed class time. In most situations, students will make up all missed class time by arriving early or staying later. Students will be in direct contact with instructors via email as needed to fulfill these requirements. The Summer Term Office must receive in writing a letter from a parent or guardian with the dates of such absences no later than 1:00 pm on June 26. Extended absences not approved will result in loss of class credit, forfeiture of all fees, and withdrawal from the program. All unanticipated absences must be accompanied by a phone call to the school by a parent or guardian no later than 8:00 am on the day of the absence. Upon a student’s return the following day, the student must have a note signed by a parent or guardian explaining the absence. Any unexcused absence will lead to a loss of credit, forfeiture of all fees, and withdrawal from the program. Refunds: Students receive 50% of the registration fee if a student withdraws from the Summer Term program before July 1. No refunds will be issued for any student after July 1. Courses may also be available for audit or non-credit, enrichment status. For grades 9 through 12 at Central Catholic High School.Please note: class sizes are limited. Refer to the course descriptions for more detailed information. “Study Skills in the Content Area” is a four-day course which focuses on skills that students need in order to achieve enhanced success in a college preparatory high school program. This course will present not only general study and organization techniques that can be applied across all curriculum areas, but it will also focus on subject specific strategies in content areas such as two-column notes and effective graphic organizers. The program will also address effective reading strategies and tools that contemporary textbooks use to help students both within the text and on the internet. Class size limited to 30 and rosters spots fill by date of registration. Instructor: Mr. Joe Lynch, Central Catholic High School. “Writing for High School” focuses on both the content and process of writing effectively across the high school curriculum. This course covers the different kinds of writing assignments and situations that students will experience, efficient paragraph structure, the parts of the essay, and elements of style. Students will write in response to a series of questions and assignments designed to develop organization, coherence, and critical thinking as part of the writing process. “Power Reading Primer” is a four-day course which focuses on the critical reading skills necessary to succeed across the curriculum of a college preparatory high school. With a focus on strengthening reading comprehension through effective notetaking, students will learn, practice and apply strategies that all strong readers utilize. Students will implement these strategies directly with the Summer Reading text assigned for our first-year students. While working with the text in class, students will prepare to not only complete the Summer Reading program successfully, but also have the critical reading tools required for success in the classroom in the first year of high school and beyond. “Power Writing 1” works to develop stronger study skills through writing in the various academic modes. Students will compose both handwritten and typed pieces. From strengthening the content and organization of short answer paragraphs, to using writing-to-explore activities to enforce comprehension, to incorporating textual evidence with an awareness of MLA format, to a greater awareness of the writing process at large, students will work in class during this four-day workshop becoming better writers and thinkers. Designed for students who have struggled in acclimating to the demands of the high school classroom, the course seeks to create stronger students capable of success. Students should bring their iPads. Class size limited. A second section might be added pending demand. “Pre-Algebra Power Review” is a four-day course which focuses on knowledge and content from previous math courses that will be important for success in Algebra I. This course will review and reinforce by practice: vocabulary related to mathematical concepts; operations on positive and negative whole numbers, decimals and fractions; plotted points in the coordinate plane; the concept of variables; order of operations and simplifying expressions. Click here for more information on the Fine & Performing Arts Summer Camps.